I am one of the residents of Camp Liberty, and I originate from Iran’s Kurdistan. In 1979, before the overthrow of the Shah regime and the rule of the mullahs in Iran, I was a teacher. Due to my disagreement with Khomeini’s regime, I was removed from my job and was thrown in jail. After spending two years in the prisons of the mullahs’ regime in Kermanshah, I left Iran and joined the PMOI because the suppression of the mullahs was unbearable. When the Iraqi forces attacked Camp Ashraf on September 1, I was one of the 101 persons residing there. Based on a quadripartite agreement between the US, UN, Government of Iraq, and the residents, we were to stay in Ashraf for an unlimited amount of time to negotiate the sale of our property. In a joint plan by the UN and Maliki’s government, the rest of the camp’s residents (roughly 3000 people) had been forced to leave their 27-year-old home and had previously been transferred to Camp Liberty near Baghdad. 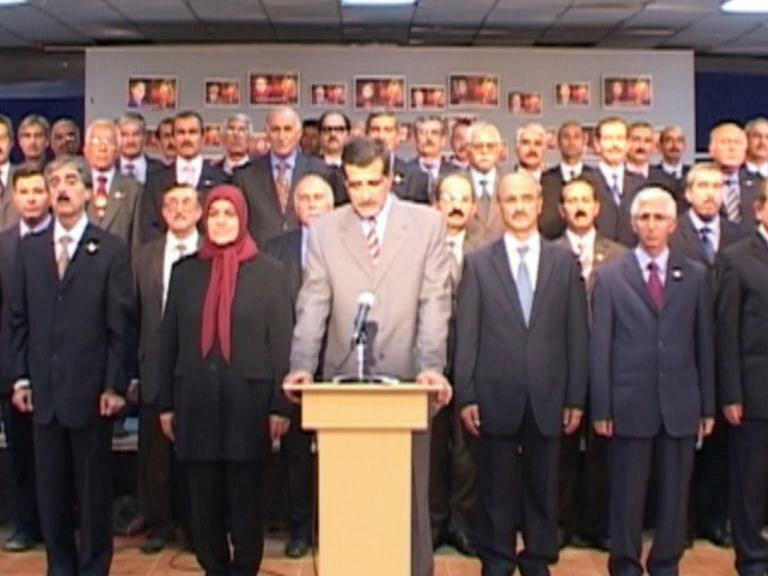 But in breach of all agreements, the Iraqi government committed an unprecedented crime against humanity and attacked Ashraf and massacred its residents at the behest of the Iranian regime, which itself is on the verge of downfall due to its internal and international problems, and cannot bear the presence of PMOI in Ashraf. What is even more shameful is the silence of the other parties to the abovementioned agreement, namely the US and the UN. They literally turned a blind eye on this issue, and are practically giving a green light to the perpetrators to commit further crimes against the defenseless residents of Camp Liberty. Unfortunately, while I and the 41 other survivors are the first people who can testify to the crime that took place in Ashraf, the US and UN haven’t even bothered to listen to what we have to say. And yet they claim that there’s no evidence of who has actually committed this crime! The Iraqi armed forces murdered 52 of my friends and abducted seven others – including six women – before my eyes. On September 1, in Ashraf, while I had taken shelter in one of the buildings, I heard the screams of the women who had been taken hostage. When I looked, I saw the Iraqi forces that had attacked Ashraf tie the hands and feet of women, violently drag them inside a white car that belonged to the residents, and take them away. I saw this with my own eyes and am ready to testify in any independent court of law. I ask for an independent investigation into this crime by international bodies. The claims of the Iraqi government about not being involved in this crime are mere lies, for the attackers entered the camp through the posts and checkpoints of the police and army forces supposedly in charge of the camp’s protection, and committed this crime without the slightest hindrance and impediment. I hereby call on all awaken consciences to rise for the sake of humanity and justice and to act for the rescue of the hostages’ lives. Call on the US and UN to act according to their responsibilities and to put pressure on Maliki to release the hostages.